What steps have you taken so far to crush your fitness goals? Whether it is dropping 50 pounds or improving your golf swing, teaming up with an educated, experienced personal trainer can often help ensure success. Think about it this way... most of us see our doctor a maximum of 1-2 times a year for 15 minutes a session, where personal trainers are often working with clients 1-3 hours a week on their health. So finding a qualified, educated trainer is crucial. DIAKADI founder and owner, Billy Polson, recommends considering the following SEVEN KEY ELEMENTS when searching for your ideal match. NASM is one of the most widely accepted certifications in the United States and an excellent source for foundational skills for functional based and corrective style training. NSCA CSCS is the gold standard for trainers that are looking to work with athletes and sports teams on developing sports performance strength and skills. The CHEK Institute is a world leader in corrective style fitness and lifestyle coaching. *For a bit more detailed information about the national personal training certifications, read our more detailed certification blog BELOW. Honestly, no education can ever beat being in the trenches and working with all types and levels of clients day after day. I recommend finding a trainer that has been certified and been training clients with a degree and/or one of the national level certifications listed above for a minimum of 3 years. All the years of education and experience in the world does not necessarily make someone a good teacher or an ideal coach for you. Make sure you find a trainer that you will enjoy learning from. You need to be comfortable sharing all your weaknesses and opening up with this person, trusting that they will always have your benefit in mind. Listen to your gut for this one. find the perfect coach for your goals! 4. Staff Trainers in “Corporate” Gyms vs. Independent Trainers. When trainers first begin training, they tend to work on staff for a private membership "chain" gym in order to get their feet wet and help build their clientele. Often as these trainers gain experience, they will graduate to training independently in trainer only facilities such as DIAKADI. 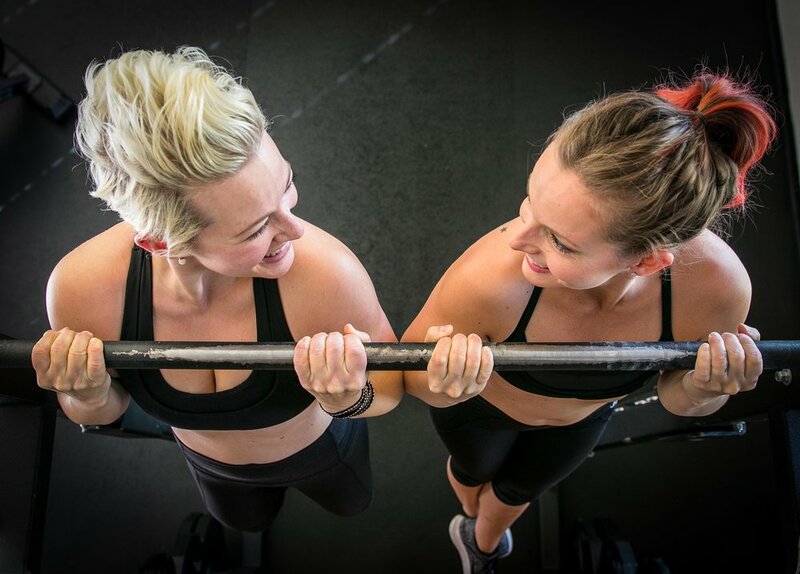 An experienced, successful independent personal trainer tends to be more well rounded not only in experience and fitness education, but also in proper business practices and professional responsibility. Either way, I recommend asking for a list of current clients as references so that you can look into more details about the trainer's style and dependability (Punctuality, annual continued education and development, safe programming, etc). Body measurements where applicable (weight, body fat, body circumference). The Functional Movement Screen (FMS) is an excellent tool for assessing the body prior to workouts. Always ask a potential trainer about the details of their assessment before starting to work with them. If they do not appear to have an upfront assessment of your entire body, this should be a RED FLAG! Responsible and organized trainers will document every client's workouts in terms of the exercises and details (sets, reps, resistance, rest, tempos) of their workout program in order to accurately track their progress and results. If your trainer does not show up to your workouts with a plan of what they want to accomplish on that day, this is another RED FLAG! Also, if you want to have copies of your workouts in order to do them on your own, it is vitally important that your trainer's documentation of the workouts be exact and accurate and easily understood by you. When interviewing trainers, ask to see a sample program or file from one of their current clients. Are the trainer files hand written on paper, typed and printed, or stored electronically on an iPad or tablet? Ask if the trainer offers videos of the workouts to assist you with your homework. Then decide on which method works best for your needs. No matter where/how you are finding your trainer, I always recommend meeting with at least 2-3 trainers whose education, skill set, specialties and personality match your ideal needs. Do not let any gym randomly assign you a trainer without a thorough intake (health history, goals, etc) with you. 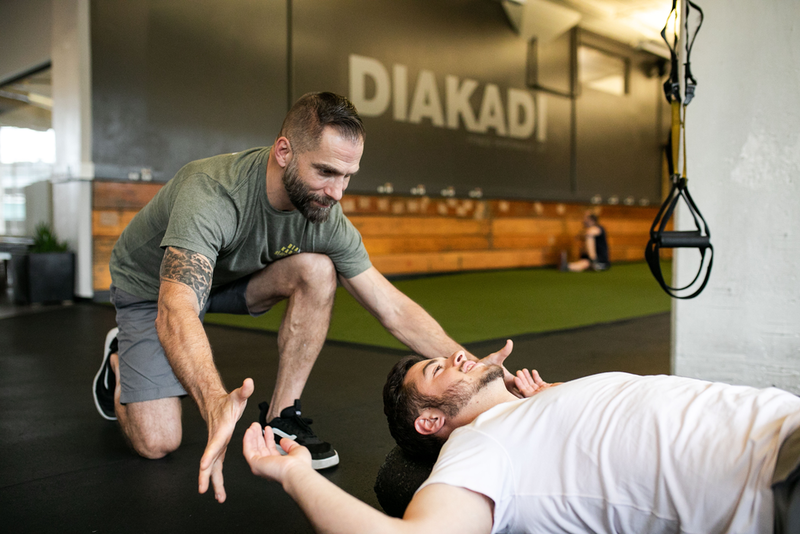 Some of our new clients at DIAKADI will even hire 3 trainers for a sample session from each of them in order to guarantee that they have made the correct choice. As I mentioned earlier, you are selecting an individual that will be spending a good amount of time with you and will have a large impact upon your health and physical body, so put in the time up front to guarantee an ideal match. If you have further questions about personal training or workouts, feel free to contact the DIAKADI Team at info@diakadibody.com.